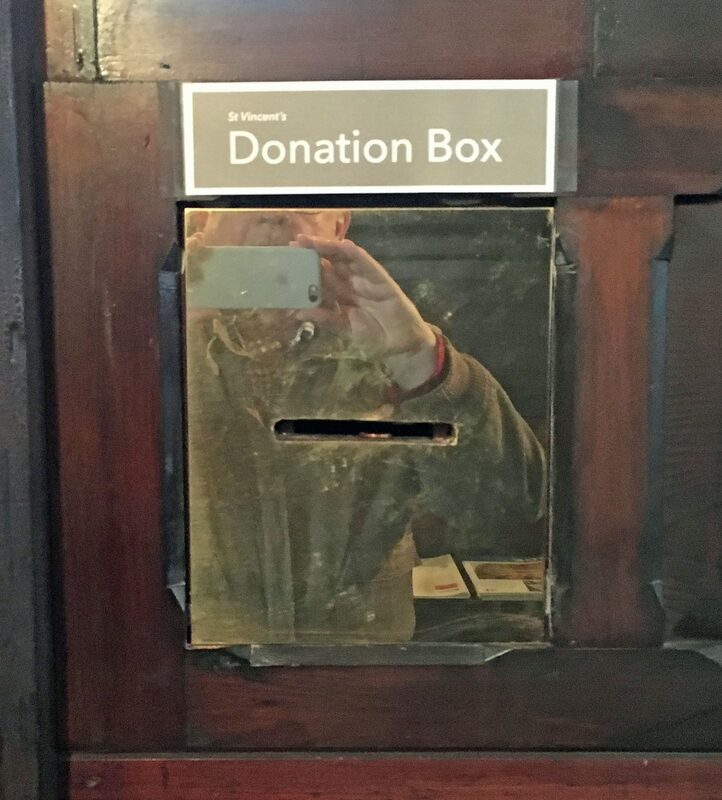 Donations – St Vincent's Chapel, Edinburgh, the village church in the heart of the city. St Vincent’s values greatly each and every donation. This is a picture of our donation box in the Vestibule. St Vincent’s Chapel has a regular programme of giving to two carefully chosen charities. St Vincent’s Chapel also has it own needs, ranging from the maintenance and upkeep of the chapel interior to supporting its services and other activities. St Vincent’s Chapel, Stockbridge a charity registered in Scotland, No SC023274. An illustrated booklet about St Vincent’s has been prepared by members of the congregation including Andrew Milner, the late John Gifford and the late Roy Wilsher, with an introduction by Bishop Brian Smith, sometime Bishop of Edinburgh. The booklet contains a short history of the church and of the Order of St Lazarus, which used the church for many years, and information about the heraldic decorations which were installed by the Order. Copies of the booklet are priced at £3.00, and are available in the vestibule, payment to the Donation Box nearby.